It is sometimes said that European club football competitions are overly complicated affairs. Whereas once the European Cup was a straight knockout tournament contested only by national title-winners, it has expanded dramatically to become the Champions League, a behemoth that includes multiple qualifying rounds and three months of group games. Next season, the top four clubs from Europe's biggest (read: wealthiest) footballing nations will be guaranteed a spot in the group stages, further eroding the competition's sporting integrity. Still, if you think that's a nasty mixture of convoluted fixtures and blatant bias, the long-defunct Inter-Cities Fairs Cup will make your eyes water. The forerunner of the modern day Europa League, this was a three-year slog that teams could only enter if their home city hosted – wait for it – an international trade fair. Qualifying for Europe via the Fair Play league seems routine by comparison. Though it began life in the mid-fifties, there is something thoroughly modern about the Fairs Cup's conception: according to UEFA's official history, the tournament's creators had "the idea of juxtaposing commerce and football". It is worth noting that it kicked off some three months before the rather more storied European Cup, proving just how deep commercialism's roots run through football. The tournament was conceived by a trio of FIFA executive committee members: Ernst Thommen, who was also a pools impresario in his native Switzerland; Ottorino Barrasi of Italy who, incidentally, looked after the Jules Rimet Trophy during World War II; and Sir Stanley Rous, an Englishman who would later service as a thoroughly Eurocentric president of FIFA. Thommen was an especially enterprising character. A football man of great experience, by the 1950s he was combining his role as FIFA vice-president with a lucrative sideline as managing director of the Swiss Football Pools (SFP). It is fair to say that he was not shy about using the former to support the latter, and an extra competition – one that began in the traditional football desert of June – suited his interests. (He would later go one step further by creating the Intertoto Cup, a tournament that existed solely to keep the pools business ticking over). The cup's strange and very literal name reflects its bizarre initial format. By the letter of the law, this was a competition played between cities, not clubs, with the key qualifying criteria that they must also stage regular international trade or industrial affairs. There were about 60 of these on the continent at the time and, being as they had been playing friendlies against one another, it must have seemed sensible (and profitable) to give the games a competitive element. Each city could only send one representative, leading London to field a team drawn from clubs across the capital. Given all of this, it should come as no surprise to learn that the cup was not sanctioned by UEFA. Today we are experiencing the zenith of football's hyper-commercialisation, an era in which the match itself seems like something of a sideshow to Gazprom adverts and Ray Winstone's disembodied yet oddly persuasive head. But in the 1950s this kind of thing was very much in its infancy. Consider that this was 25 years before shirt sponsors became common at the top of the game, and you might conclude that Thommen and co. were rather ahead of their time. Looking back, you can see why the FIFA executives believed a gap was opening in the market. Floodlights were becoming common, making mid-week evening games a possibility, while air travel across the continent made reaching Munich from Madrid or Manchester from Marseille considerably easier. Visionary as it may have been, the tournament could be politely described as a lumbering monster. The trade fair qualification was taken to its extreme, with games having to be played concurrently with these events. This made for a uniquely unwieldy football tournament. Remember that the first European Cup match was played some three months after the initial Inter-Cities game; now, consider the fact that, by the time the inaugural Inter-Cities Cup final was played, the rival competition was gearing up for its third final. Almost three years earlier, on 4 June 1955, the tournament began with a combined London XI travelling to Basel to take on a side almost entirely consisting of FC Basel players. 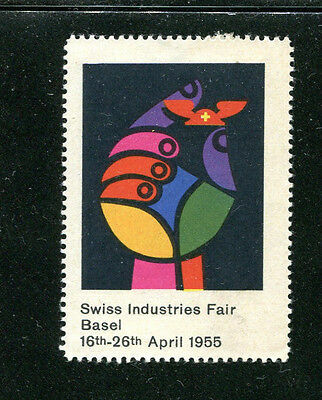 The game coincided with the Swiss Industries Fair (16-26 April 1955), which we can only assume passed smoothly for all involved. The London side is actually something to look back on with genuine interest. After all, the composition of one super-team drawn from across the capital's clubs is a conversation still had today in pubs up and down the country. Selection requirements extended only to the players' employers – that is to say, they did not need to be born in London. Indeed, the original team included a Scot, a Welshman, and a South African-born Italian international. London itself was represented, however, with Fulham legend Johnny Haynes providing the most famous name on the team sheet. They secured a comprehensive 5-0 win, with Cliff Holton of Arsenal scoring a hat-trick. A precedent had been set for European club football, if not Arsenal players' ability to succeed at it. When the group phase ended a full two years later, London were winners, beating Frankfurt and Basel to top spot. They would meet another Swiss side in the knockout stages, which mercifully skipped straight to the semi-finals, overcoming Lausanne 3-2 on aggregate. The other semi also featured an English outfit. The city of Birmingham was represented by Birmingham City after Aston Villa refused the chance to merge with their rivals, making the Blues the first English club side to play in Europe. They met a Barcelona XI predominantly represented by FC Barcelona throughout the tournament, though the occasional Espanyol player was added into the mix. This match turned out to be a thriller, with Birmingham winning 4-3 at St. Andrew's to set up a nail-biter at Camp Nou (the now-iconic stadium had opened just months earlier). It took them until the 82nd minute, but Barça edged it 1-0 to level the scores on aggregate. This being a time before away goals and penalty shootouts, a third match was arranged – on neutral territory, which obviously meant a trip to Switzerland – to decide who'd play in the final. It was another tight affair, with Barça going 1-0 on 33 minutes and Birmingham levelling shortly after the break. Another late goal did the trick for the Catalans, who this time scored in the 83rd minute to book a place in the final and scupper hopes of an all-English decider. Given Birmingham's near miss, you might have expected the combined might of London to give Barcelona a run for their money in the final. In the first leg they almost did: the game ended 2-2, with 18-year-old Jimmy Greaves (then of Chelsea) getting the first for his side after the Catalans had raced into an early lead. Almost two months passed before the second leg, which seems an appropriate length of time given that this was the tournament of interminable waiting. When it came, Barcelona were utterly dominant. They ran out 6-0 winners at Camp Nou to claim not only the first Inter-Cities Fairs Cup, but also the first piece of European silverware in the club's history. After their initial three-year-one-final experiment, incremental changes were made to the tournament. A few months after the inaugural final the Fairs Cup started up again, but this time there would be no group stage, with a straight knockout format simplifying matters. The London XI was a thing of the past, too, with Chelsea now acting as the capital's representatives. They were dumped out in the quarter-finals by a Belgrade XI, but Birmingham City went one better than their previous attempt and reached the tournament's second final. Barcelona were back to defend their title, however, and after a 0-0 draw at St. Andrew's won 4-0 at Camp Nou. This time it had taken a little under two years to complete. The tournament eventually fell into line with the European season. Birmingham were finalists again in 1960/61, but this time lost 4-2 to Roma; the Blues have never come closer to collecting a European honour. In 1961/62 the "one city, one team" rule was dropped, with countries now allowed to enter three sides. The Fairs Cup was becoming the continent's established second tournament. Spanish sides dominated the early years, with two titles apiece for Barça and Valencia and one for Real Zaragoza; only AS Roma broke their dominance. Hungarian side Ferencváros beat Juventus to take the trophy in 1965, before Barcelona secured their third victory a year later. English clubs then came to the fore, winning four titles in a row between 1968 and 1971 thanks to Leeds United, Arsenal, Newcastle United and Leeds again. The Yorkshire side's second triumph represented the final outing for the Fairs Cup. The format had been refined, and UEFA took control. From 1971/72 onwards it became the UEFA Cup which, now trading as the Europa League, survives to this day. The Fairs Cup may have begun life as a strange creature, but its importance should not be underplayed. Aside from creating Europe's second-tier club competition, it saw the first game to be played under the floodlights at Wembley (London vs. Frankfurt in 1956) and was often used to trial new initiatives. So, in 1966/67, it introduced the away goals rule, now used in competitions across the globe; in 1970/71 penalty shootouts were brought in, seven years before they arrived at the World Cup. Today it has become a rather unloved conciliation prize that none of the big sides really want, certainly among England's elite. In fact, as Premier League balance sheets expand, even mid-ranking clubs seem to be rejecting the Europa League. In truth, Europe's second competition was fatally undermined by the expansion of the premier equivalent. Looking back to years before the Champions League stopped actually being for champions, the UEFA Cup was won by clubs like Real Madrid, Bayern Munich and Juventus. Those sides would now consider it a disaster to be playing Europa League football; it would require either domestic collapse or a dreadful Champions League group phase, and thus be seen as a mark of failure. It's fair to say that we have crossed the Rubicon in this regard, leaving us to look back fondly on a simpler time – a time when powerful football executives conceived a bloated tournament with strange qualification criteria based on maximising revenues. Plus ça change.